… but they don’t just disappear of their own volition. This entry was posted in Gender, Ideology, Images on March 28, 2015 by apciv. “. . . all the while being mindful that a man’s satisfaction is more important than a woman’s.” Well, they really didn’t beat around the bush, did they? Don’t forget that encouraging moan, ladies! Yeah, this is . . . hmm. 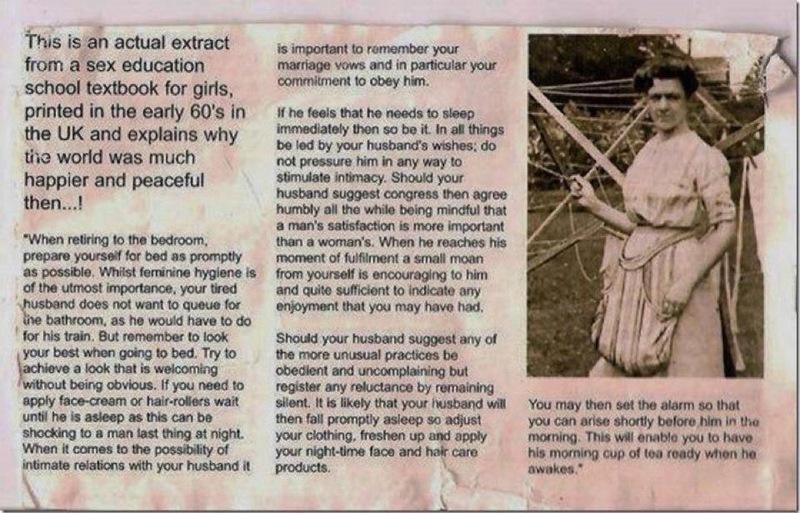 I’m not sure what else to say, except, was it assumed back then that ALL men wanted nothing more than servants as wives, even in the bedroom? I wouldn’t think that could be fulfilling in a marriage to either partner.